Come. Explore. 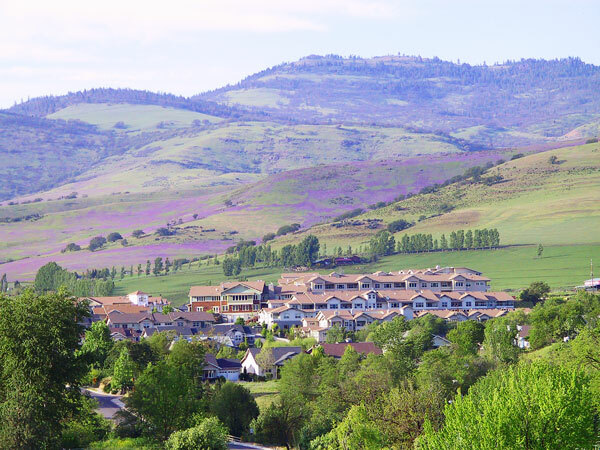 Enjoy…the area just south of Crater Lake National Park and be welcomed by the friendly communities of Chiloquin, Rocky Point, and Fort Klamath. Hike lush pine forests and paddle tranquil waters. Reel in a trophy trout while you watch eagles soar overhead. There are so many adventures to enjoy, we can’t list them all! Their popular visitor website has complete information on everything to see and do in the area. KLAMATH FALLS (31 miles to Crater Lake) – Just. Let. Go! Experience Oregon’s Epic Zipline Adventure. Located 30 minutes south of Crater Lake National Park perched in the National Forest, you’ll discover nine mega long ziplines, rappels, challenging skybridges and breathtaking views of mountains, forest and Upper Klamath Lake. This tree to tree canopy tour presents three hours of thrilling adventure! 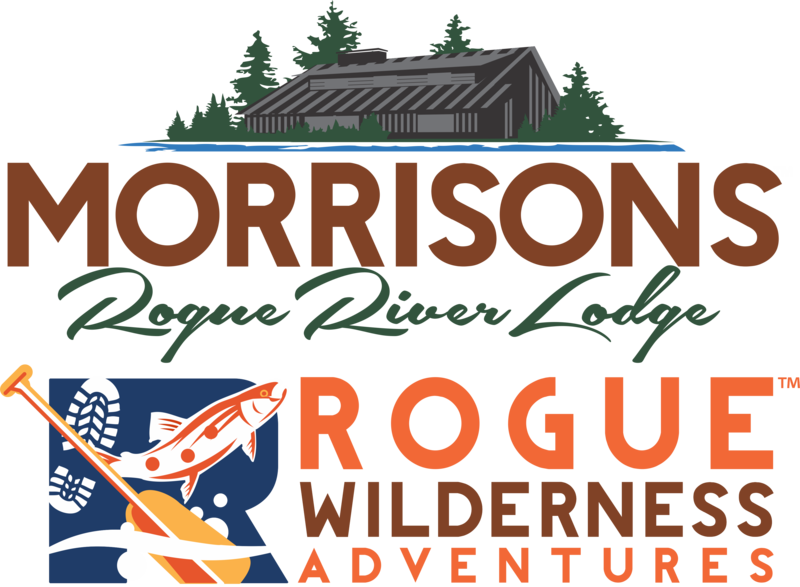 Make it a full day of adventure and join us for our SKYAK Tour that includes the ziplines, lunch and a guided kayak tour with our sister company, ROE! – Real Oregon Experience. Location: 29840 Highway 140 West Klamath Falls, OR, Phone: 1.541.892.9477. 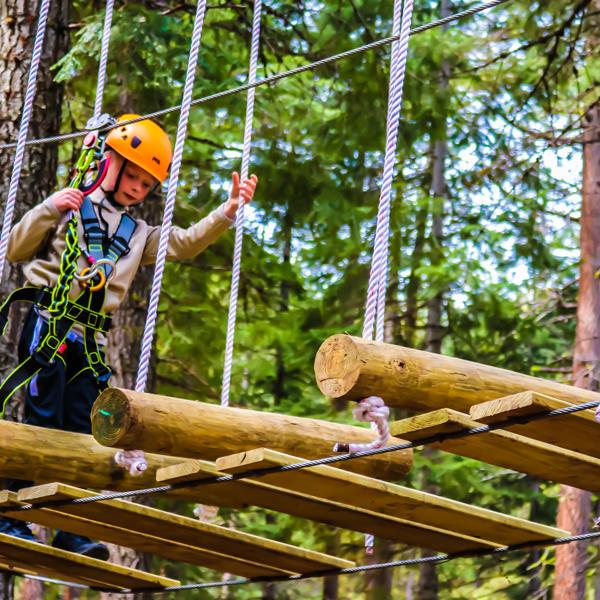 KLAMATH FALLS (31 miles to Crater Lake) – Part of the Crater Lake ZipLine family, kids need adventure too! Sasquatch Hollow is sure to wow your young adventurers. 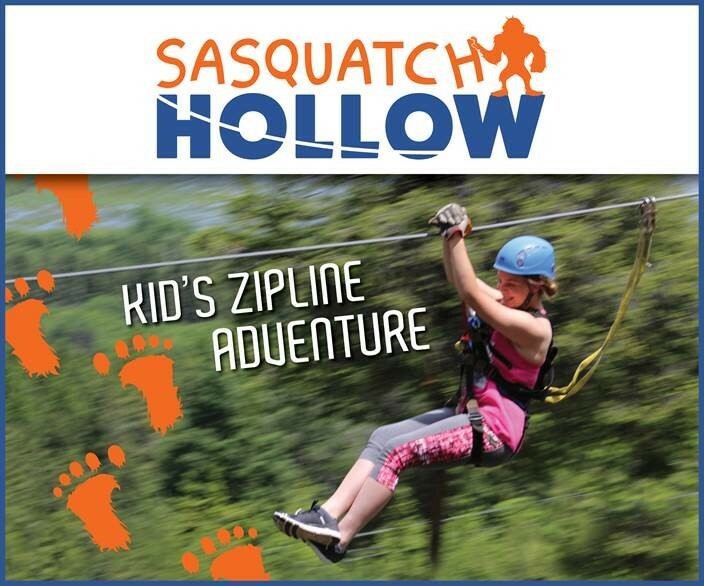 Designed with ages 5 – 13 in mind Sasquatch Hollow is a high adventure challenge course with ziplines, bridges and other fun obstacles included along the way. Check-in and location is at the same location has Crater Lake Zipline. Location: 29840 Highway 140 West Klamath Falls, OR, Phone: 1.541.892.9477. 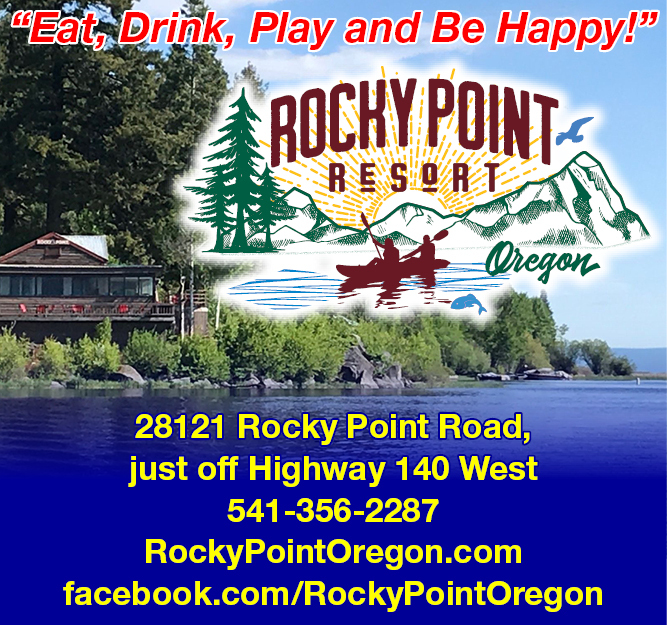 ROCKY POINT (41 miles to Crater Lake) – Established in 1910, this historic resort is located on the Upper Klamath Lake (Winema National Forest). 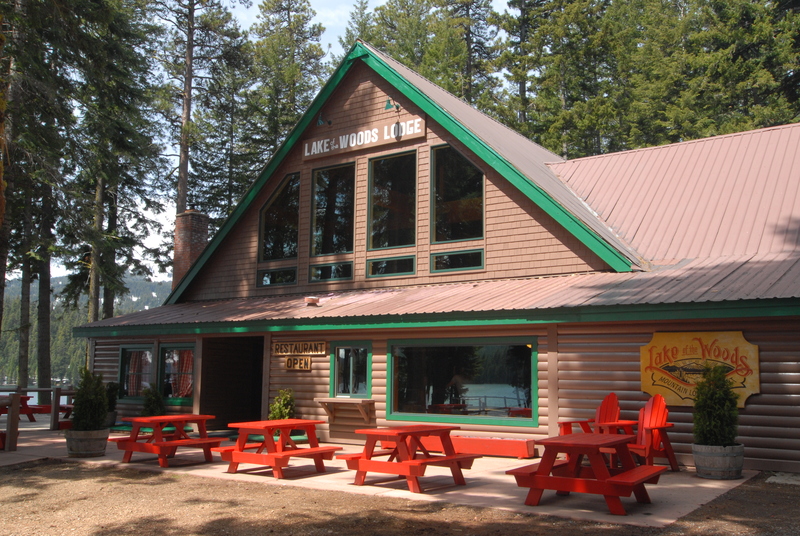 They offer great facilities for fishing, boating and wildlife viewing. Just off the resort’s docks are nearly ten miles of canoe and kayak trails lacing through the waterways of the National Wildlife Refuge. The lake is home to some of the largest rainbow trout anywhere. They offer small RV and tent sites as well as rustic motel-style rooms and cabins. Some cabins are pet friendly. The restaurant has some of the best views around. Check their website for hours and menus. Dinner reservations are highly recommended. It’s a popular spot! The store offers grocery items as well as beverages, snacks, tackle and ice. There is also a laundry facility. 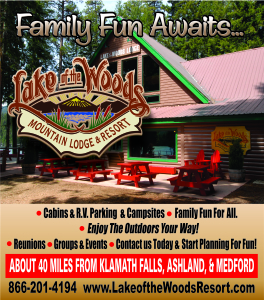 Location: 28121 Rocky Point Rd., Klamath Falls, OR, Phone: 1.541.356.2287. 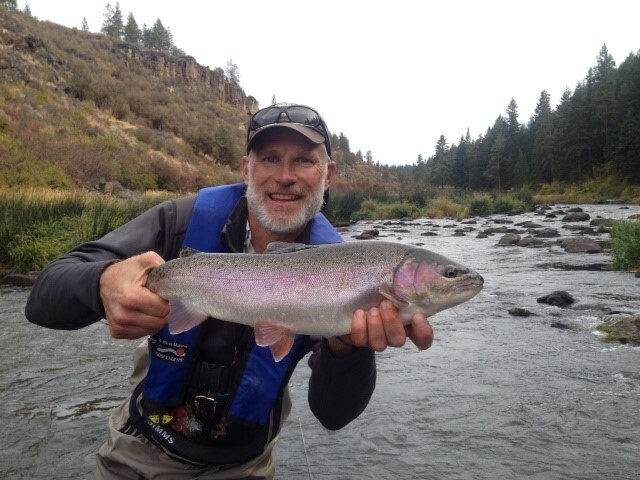 KLAMATH FALLS (57 miles to Crater Lake) – Guided fly fishing, bird hunting & kayaking adventures since 1984! Explore pristine spring creeks, mountain lakes and wild & scenic rivers. This is the place in the lower 48 for catching big rainbow trout on legendary rivers like the Williamson, Wood and Klamath and wild steelhead on the Rogue. Or, Discover kayaking on water so clear. Calm and blue it’s like gliding across a looking glass. 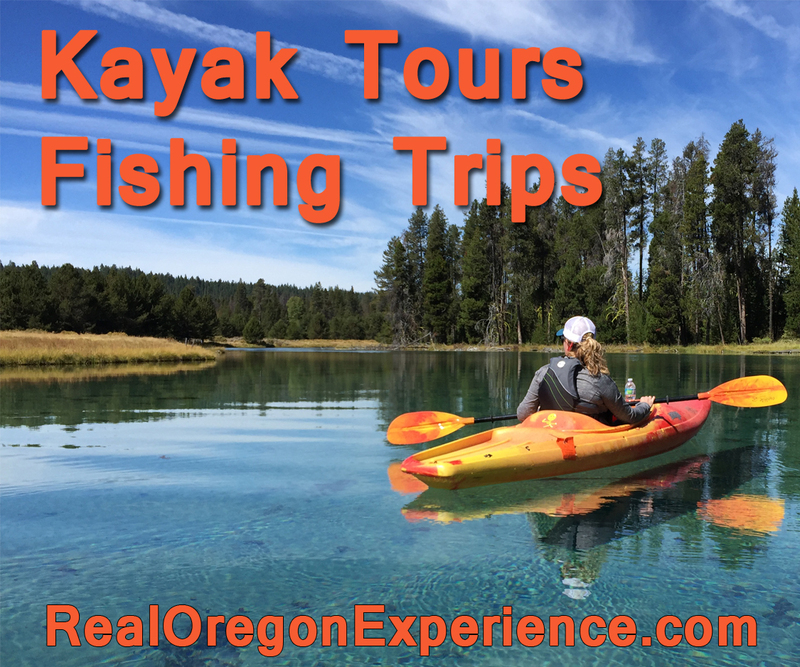 Take a guided kayak tour or rent one. In winter join them for upland, duck and goose hunting. 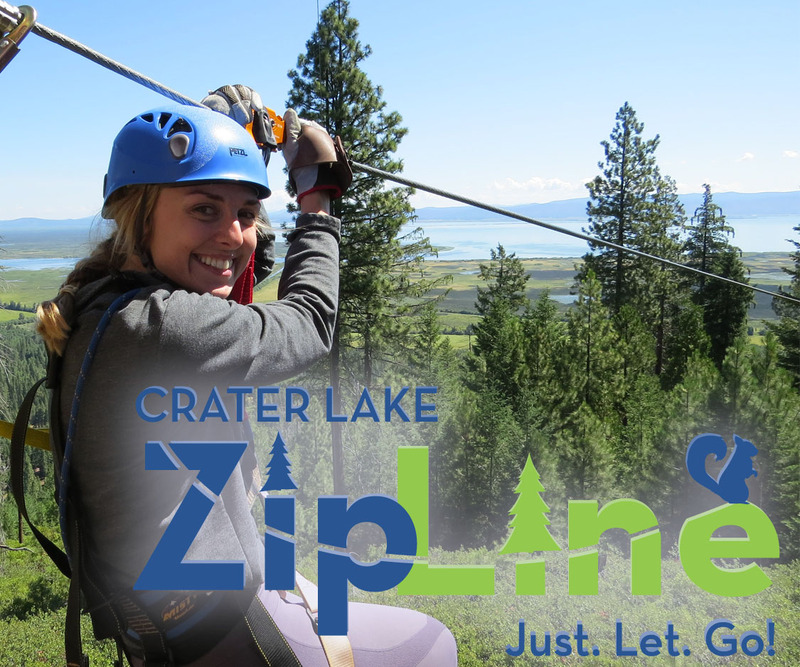 Plus, check out their sister company Crater Lake Zipline for another epic adventure! ROE! Where remote is around the corner and fun is the destination. Location: 5391 Running Y Road Klamath Falls, OR, Phone: 1.541.884.3825. JACKSONVILLE (84 miles to Crater Lake) –Discover the Britt Experience! 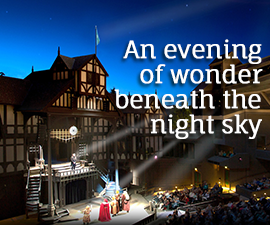 Britt is the Pacific Northwest’s premier outdoor summer performing arts festival. 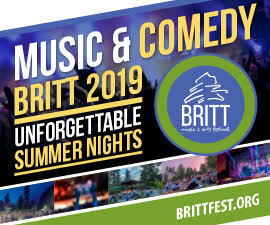 Located in the historic 1850s gold rush town of Jacksonville, Britt presents a summer series of concerts—a signature mix of classical, blues, folk, bluegrass, pop, rock and country music—on a dramatic Jacksonville hillside setting under the stars. Come enjoy the beautiful scenery and relaxed setting in this one of a kind venue. Venue Location: 350 S. First Street, Jacksonville, OR, Phone: 1-800-882-7488. 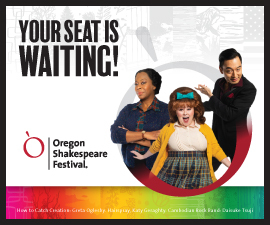 See the full 2019 season lineup at their website. 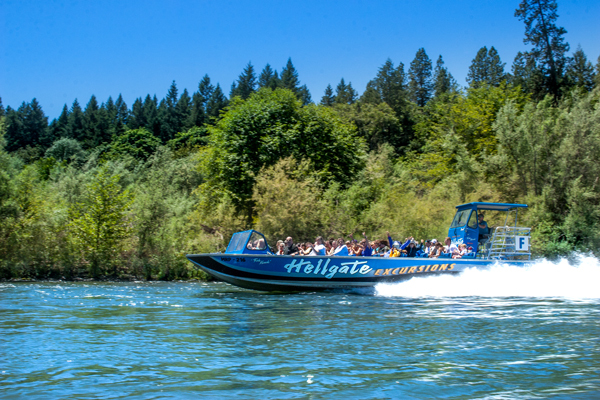 GRANTS PASS (Interstate 5, 96 miles to Crater Lake) – Located right off Interstate 5, Hellgate Jetboat Excursions is the Northwest’s #1 River Trip! 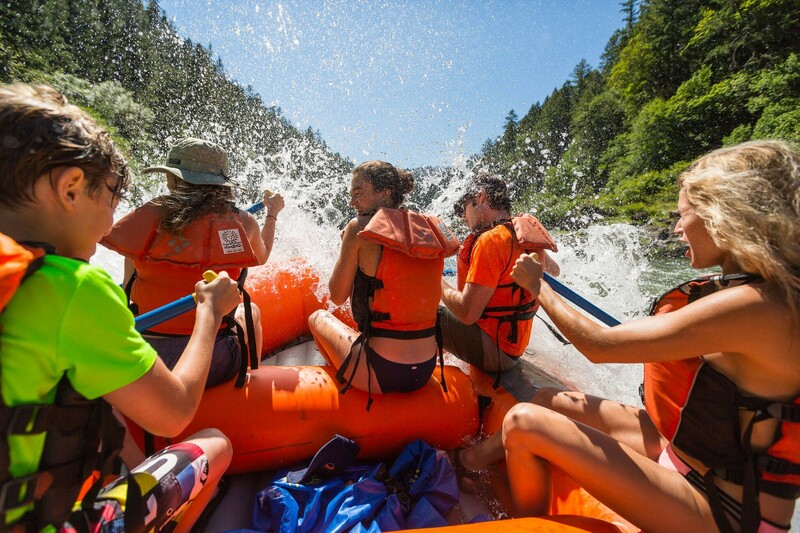 Each year thousands of people travel to Grants Pass, OR to enjoy this unique experience trip down the famed Rogue River. 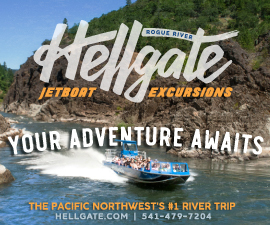 Guests are invited to take in the beauty of the Rogue River, jet through the jaws of Hellgate Canyon, experience 360° spins and dine family style at the exclusive riverfront OK Corral. Five different adventures to choose from. Season May through September. Location: 966 SW 6th St, Grants Pass, 1.800.648.4874. 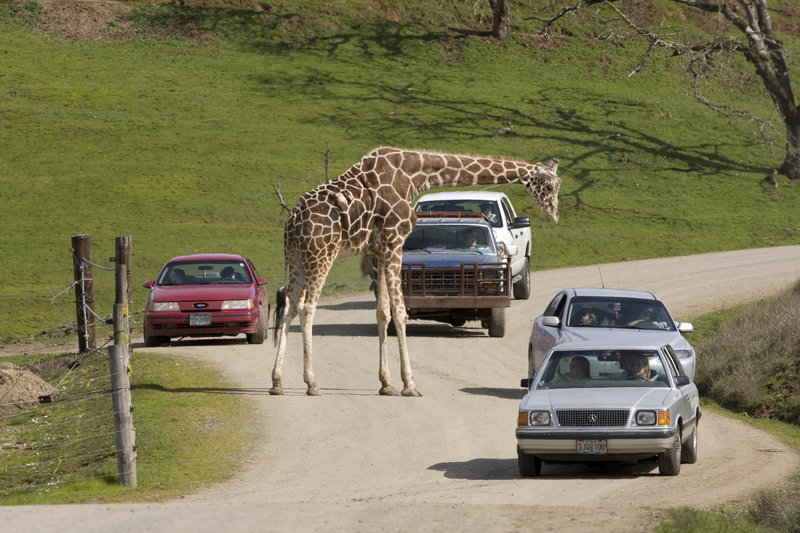 WINSTON (110 miles to Crater Lake) – This 600-acre drive-through animal park is just south of Roseburg (Exit 119 off I-5). The park is filled with hundreds of animals native to Africa, Asia and the Americas. Exciting family adventures include: photos with our ambassador cheetahs, U-feed bear, elephant and giraffe encounters, camel rides, animal shows and camping experiences. 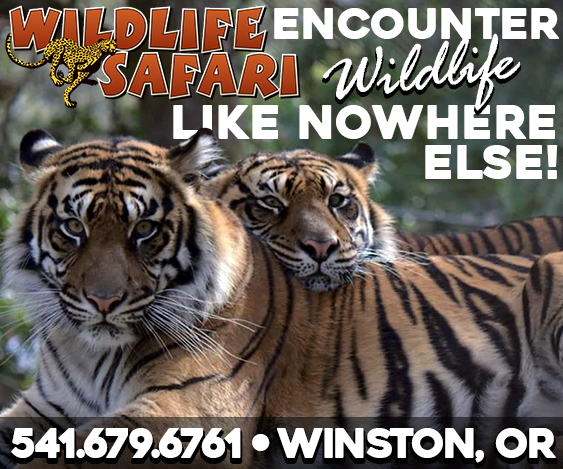 This summer, Wildlife Safari is providing once in a lifetime opportunities to interact with some of the most amazing species up close! Get eye-to-eye with the King of the Jungle in our newly featured Lion Tug-of-War or learn about the animals in your own back yard in our Wild Americas animal encounter! The park also offers day and overnight adventure camps for kids and adults. Safari Village is free to the public and includes a children’s petting zoo, educational keeper talks, Safari Café and gift shop. Open daily. Spring-Summer Hours: 9 AM – 6 PM daily, Winter Hours: 10 AM – 4PM daily, excluding Christmas & Thanksgiving. Location: 1790 Safari Rd, Winston, OR, Phone: 1.541.679.6761. OREGON CAVES (123 miles to Crater Lake) – The Chateau at the Oregon Caves National Monument and Preserve, located off Highway 199 which connects Crater Lake to the Oregon. The Chateau is the perfect setting to leave behind demands of everyday life. Enjoy hiking trails to mountain lakes or choose from various guided tours of unique marble caverns. This National Historic Landmark offers overnight lodging and an authentic 1930′s-style Café serving breakfast, lunch and old-fashioned shakes. Enjoy fresh Northwest cuisine and impressive canyon views in the creekside dining room. The Gift Gallery features work from artisans of regional renown. View the free live music and lecture schedule online. 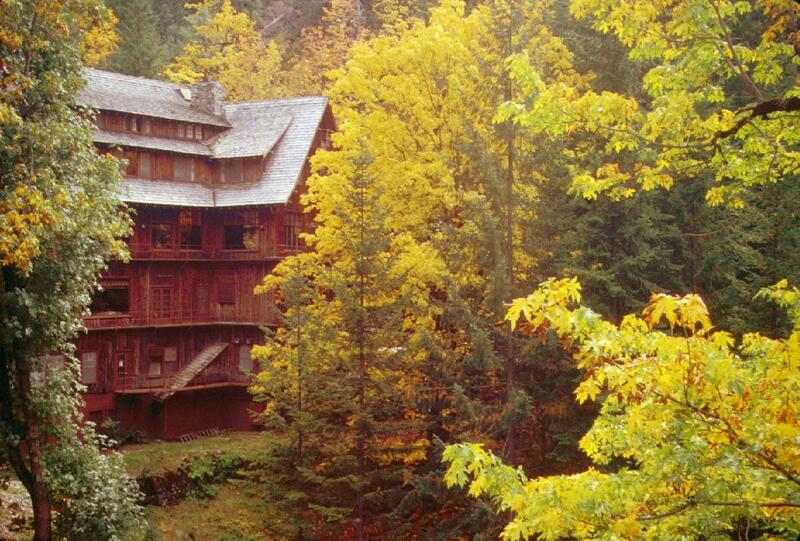 Special lodging rates May, June, September, October. 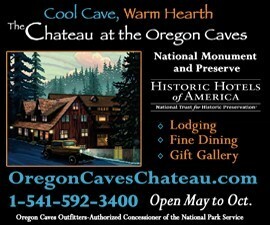 Location: 20,000 Caves Highway, Cave Junction, OR, Phone: 541-592-3400. 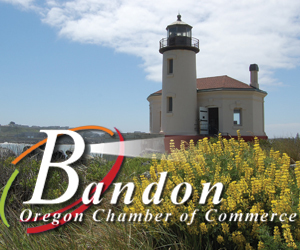 OREGON’S GOLF COAST (187 miles to Crater Lake) – On the breathtaking South Coast, the charming and unspoiled seacoast town of Bandon is world-famous as the home of Bandon Dunes, one of the top golf destinations in the world. But Bandon offers far more than world class golf courses. Its charming Old Town and scenic beauty are also unparalleled. Enjoy birding, surfing, crabbing, fishing, and so much more! There are also numerous quality lodging choices. The people who live here love it, and each year, first-time visitors discover why. Visitor Center location: 300 Second Street, Old Town, Bandon, OR, Phone: 1.541.347.9616. 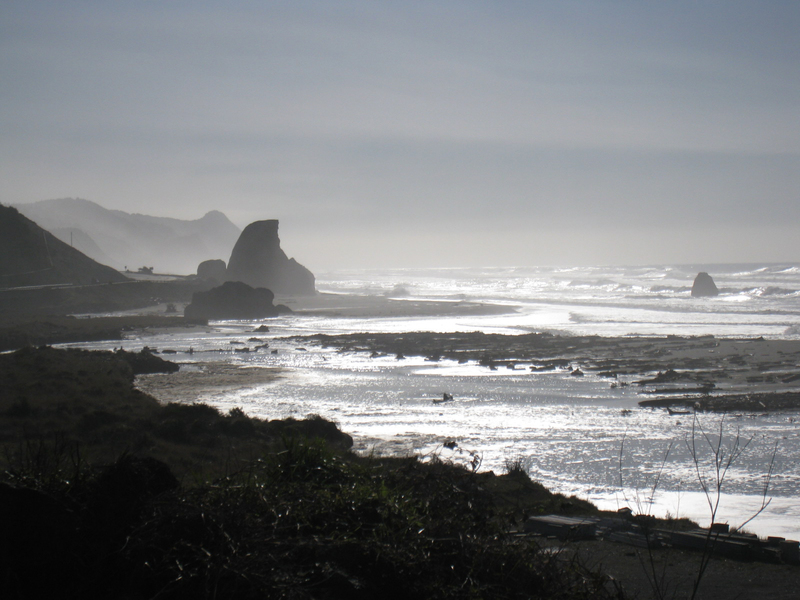 NATURE’S WILD SIDE (221 miles to Crater Lake) – Also located on the South Coast, Gold Beach delivers the Coast as it’s meant to be: Wild and Natural. 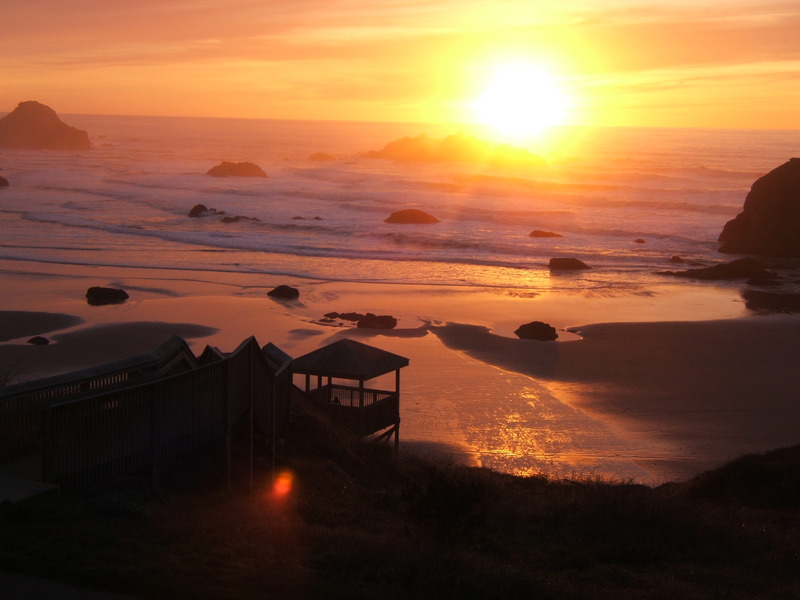 Whether your ” Wild Side” is salmon fishing, rafting, jetboating on the mighty Rogue River, or the adrenaline rush of windsurfing one of the most beautiful coastlines in the world, you’ll find it here. Perhaps your “Wild Side” is just getting away to walk miles of uninterrupted, secluded beaches or hiking windswept headlands. Your “Wild Side” could be watching amazing animals, on land and sea, or capturing nature in a photograph or painting inspired by our gorgeous scenery. 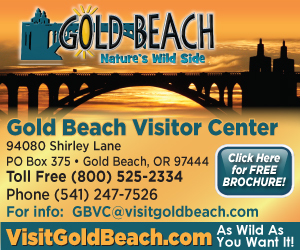 Visitor Center location: 94080 Shirley Lane, Gold Beach, OR, Phone: 1.800.525.2334. JACKSON COUNTY PARKS – Throughout beautiful Southern Oregon, Jackson County operates eighteen parks and strives to provide a variety of recreational experiences at a low cost. 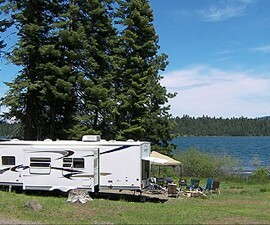 It also offers three great home bases for your RV trip to Crater Lake! 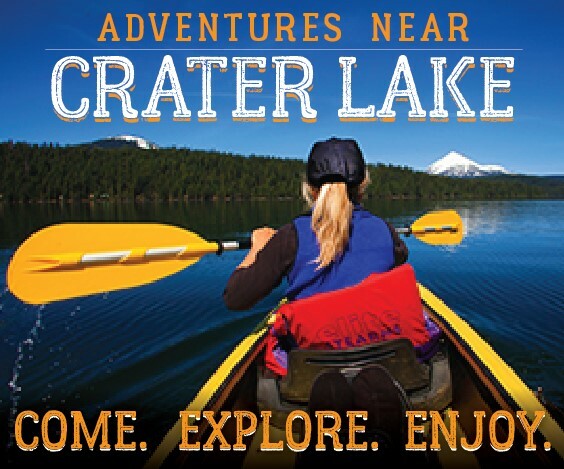 Stay at a Jackson County Parks all within 75 miles of Crater Lake! Park your RV at Howard Prairie Lake for an immersive forested mountain lake experience. 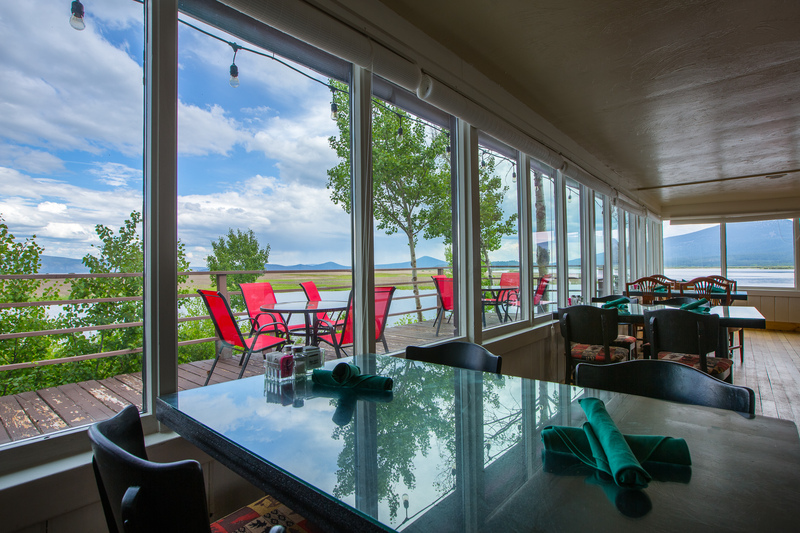 Or enjoy fine arts and upscale dining in nearby Ashland when you stay lakeside at The Point at Emigrant Lake. Are urban amenities and city life your style? Enjoy Southern Oregon RV Park, the area’s largest and most modern RV site, just a couple minutes north of the Medford metro area. All RV parks offer full hookups and power options. 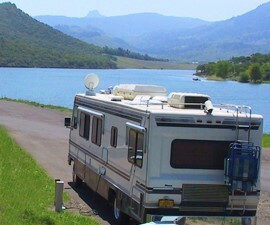 See individual listings under RV Parks. For more information on all park facilities, contact the Jackson County Parks Office, 7520 Table Rock Road, Central Point, OR 541.774.8183. CRATER LAKE COUNTRY – If you are vacationing in Crater Lake Country, you know it is a great place to visit. Why not retire here! Throughout the region there are a variety of great active retirement communities that offer welcoming apartment homes and cottages, fine dining, caring staffs, and full recreational opportunities. It is no wonder we call these independent communities “resort-style.” The editors of the national website RetireUSA.net have personally reviewed and selected the best Oregon communities to highlight on the Resort-Style-Retirement website.